I've finally decided to start the Middle Phase with aileron wing as my first proper build. (I do a bit of regular DLG thermal hunting with a 1m Elf and a soon to be completed 1.5m Blaster 3, and have cut my teeth on the slope with a lightweight Libelle... which is otherwise floppy and certainly useless for DLG!). Although I've garnered much from various MP threads here and elsewhere, I have a few residual questions before I commit to butchery or spending any more money! The supplied snakes look a bit basic and I've got a spare gold-n-rod to use for the elevator, but would a closed-loop be superior for the rudder on this model? 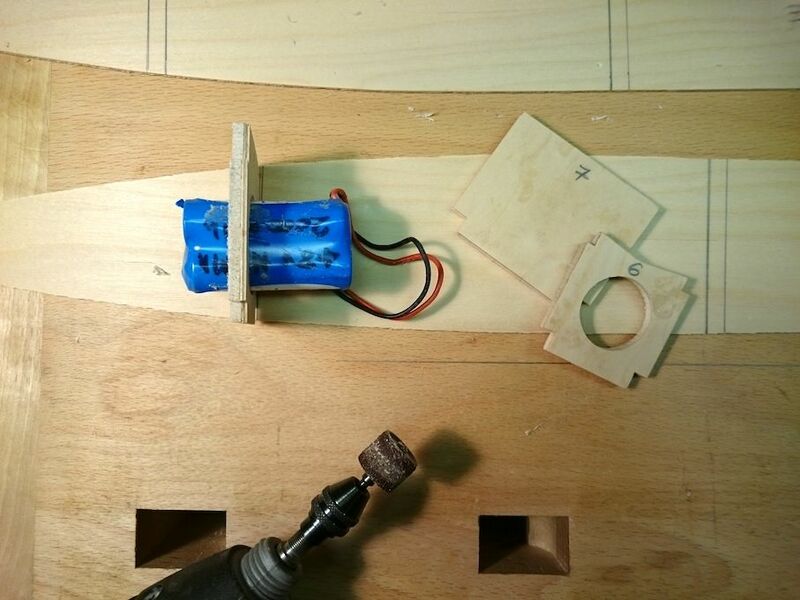 What servos would I then need for the rudder and elevator? 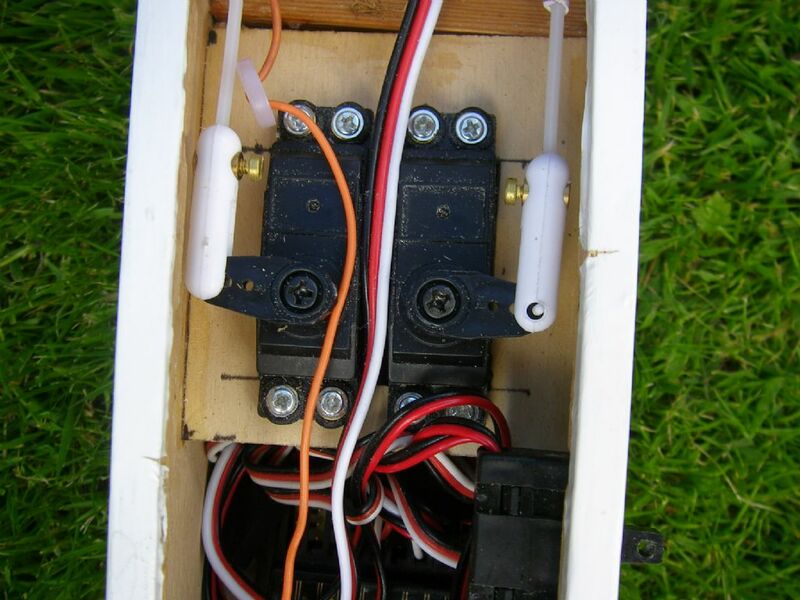 When I originally bought the kit my LMS originally bunged me a couple of Futaba S3003 servos (but I later diverted these for use in my Acro Wot ARTF). The two marginally dearer options are the S3004 and S3001 units, the latter being a bit heavier still. I suppose bearings are good, metal is good, both is even better... or overkill? 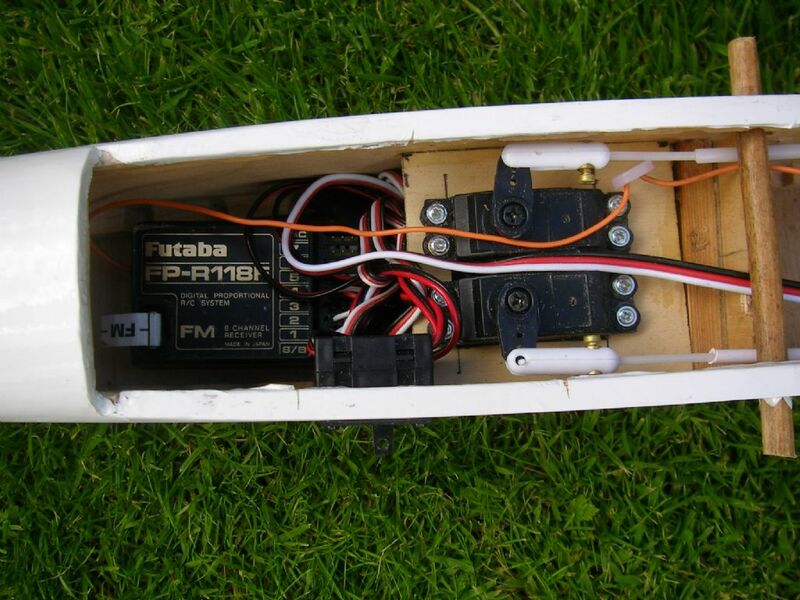 What are the equivalent Hi-Tech servos? Going for maximum strength and longevity, I'll be inserting a couple of ply braces in the wing before applying the fibreglass belt, and I'm also inclined towards rubber bands rather than nylon bolts to secure the wing, but with a nylon bolt for the stabiliser. Also, in the event that I wish to experiment with ballast on windier sites (6 to 10oz), I intend to fit in a ply-box at the fuselage CG. Covering. This is where I'm really in the dark. I want a tough fuselage (including at least fibreglassing the underside as far back as the rear wing seating), but don't want to overdo the overall weight. I'm attracted to using Poly-C rather than epoxy, but don't know in the slightest what weight of cloth to use for this or the whole fuselage? Could I then glass the wings and tail structures using lighter weight cloth (what weight?) then spray paint? Will this all add up to an elephant-full of weight, so should I use iron-on film for everything - and then what type and/or different products on different parts? I think the snakes will probably be OK, although better snakes are always a good idea and I'd use a metal clevis on the elevator. You can use a closed-loop setup but it probably won't be necessary. I think I had HS80s in mine (it was a long time ago!). If you don't use metal-geared servos for the ailerons then you can guarantee that you'll bang it against a door frame at the start of a good flying day, breaking a gear set. I'd go for an HS-85MG on the elevator, personally, but anything similar will do. I think 4 oz glassfibre bandage & epoxy will probably be fine for the wing, without the extra braces. Mine never broke. Ballast box - good idea. See below. Covering; mine started out covered in film, then after a few years it was re-covered with Solartex and came out heavier. Amazingly, it flew better at the higher weight, and this seems to be common with Foss slope kits; I shouldn't worry *too* much about the weight. 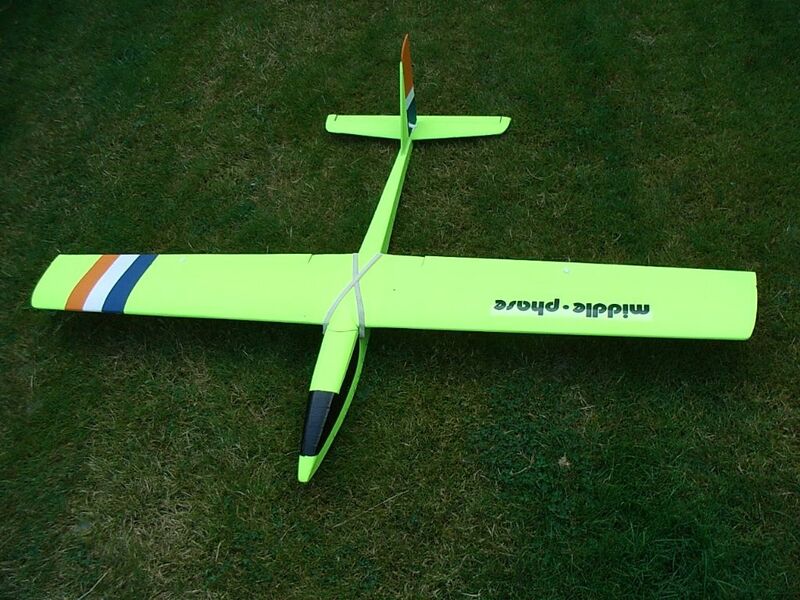 Had you considered Solartex (or similar) for the fuselage and film or Glosstex for the wings and tail...? The Middle Phase is a pretty tough bird as designed, and a well thought through design too, so resist the urge to change it too much. If you use rubber bands on the wing, you don't need the additional braces. I did use the original snakes but replaced the inner of the elevator snake with piano wire. The geometry of the rudder linkage is horrible but it works well enough. For covering, I'd stick with film but apply carpet tape to the underside of the fus if there's any likelihood of landing on gravelly surfaces. Whilst a bit of extra weight won't hamper you in good lift, if you want to maintain the model's light wind capability then I'd vote for keeping the weight down (so no glass or heavy coverings), especially if you are fitting a ballast box. If you have cramped landing areas and want to do semi-stalled or side slipping approaches, extra weight will make this more difficult - unlike the Phase 6, the Middle Phase will tip stall if really provoked. A bolt on tail may well be a good thing. Certainly the banded on arrangement is not good - it's too easy to end up with the tail in a slightly different position each time you rig the model so messing up the elevator trim. Mine was glued on and never suffered more than a bit of damage around the tips. Whatever you do, it will fly - and fly well. Good luck with the project. Earlier this year I refurbished a Middle Phase 2 that had been in my loft for at least 5 years. I acquired it for £18 on e-bay. 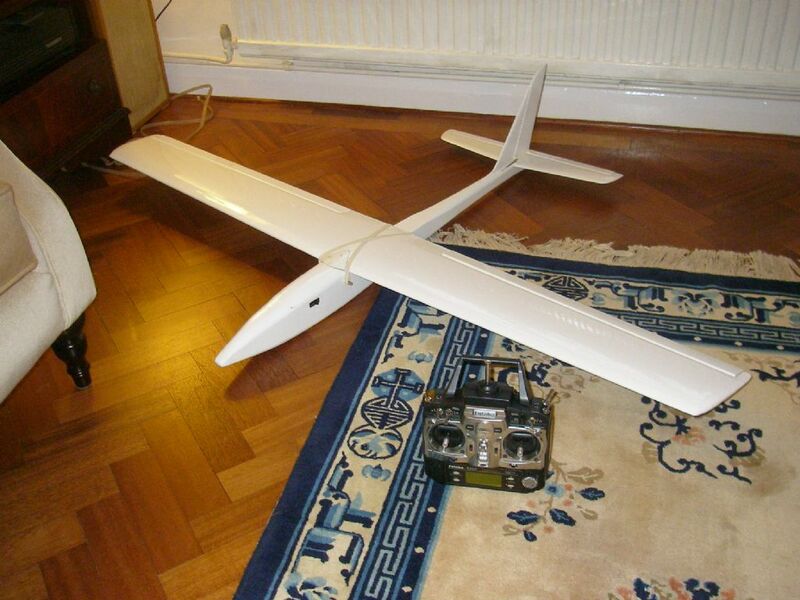 However it had never flown by the look of it, and it needed radio plus servo's (I used cheap metal geared standard servo's from the Component shop)and re-covering which I did with Solarfilm having removed the original Solarfilm. I have always found this covering satisfactory and used it over 30 years ago on my Flair Heron which still survives.The idea of a ballast box is good but rather than a box I have a bolt fixing for ballast on a Bluebottle glider built by my nephew over 30 years ago. Also on the Middlephase I used small snakes,metal clevices and nylon control horns. 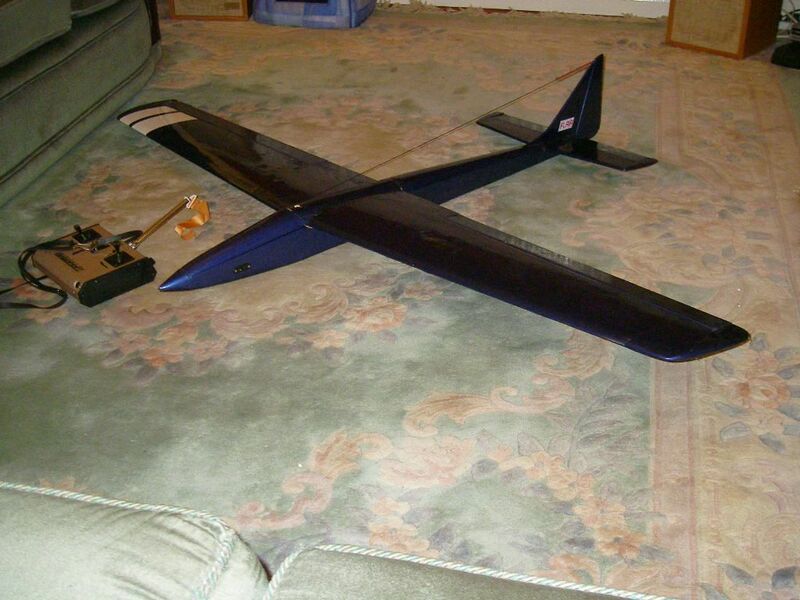 At my last IC flying session I had trouble with my 35 MHZ radio so I have dumped all my planes in the loft. 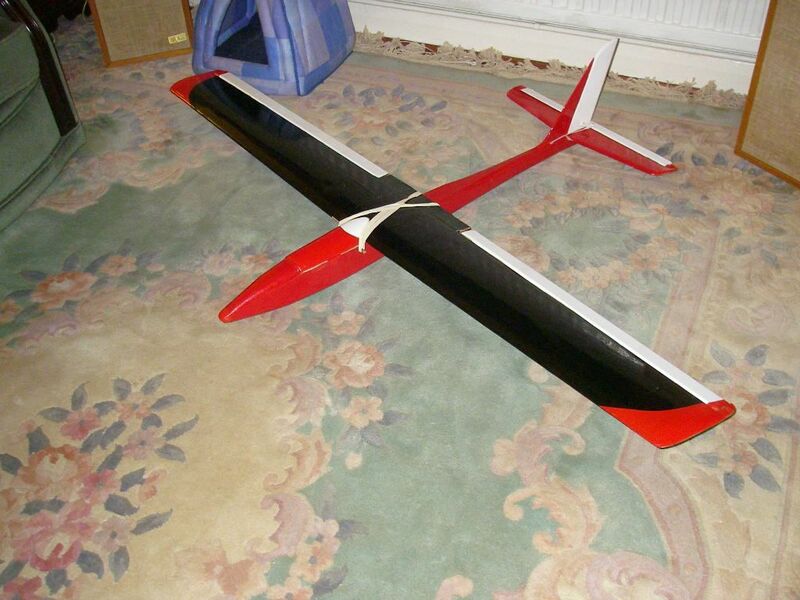 Nobody from my club has mentioned slope soaring yet but if we get south westerlies something may happen and the Middlephase could have it's maiden flight? I seem to remember that the tailplane on mine was just glued straight on to the tailplane platform, and that worked OK. Yes, I might indeed do a build-thread. I'm still very much in the research phase (no pun meant!) but clearer now on the main issues. Plenty of time yet to decide on the covering: Solartex for the fuselage and film wings sounds do-able... just a question of learning to use an iron properly! Will fit Sullivan Gold-N-Rod snakes as I've used them on my recently-completed Acro Wot and do like them. Andy said "I'd go for an HS-85MG on the elevator, personally, but anything similar will do." Did you mean for the elevator? Same for the rudder? I'm happy to install HS-85MGs all round (a weight saving here can be traded for a more robust fuselage) but will these modern micro-servos have enough torque for the tail surfaces? Yes, the HS85MGs will be fine throughout. I can't remember the figures but I seem to remember once checking their torque rating against the old Futaba 128 that we used to use and being reassured by what I found. Same here - and I had mostly HS 80s in mine, and having thought about it I think it was probably a JR NES-321 or similar on the elevator and that set-up was OK. I only mentioned HS85MGs because I like them, anything similar will do. Non-metal-geared servos are fine but liable to break if you hit anything putting it in the car or if you have a bit of a prang. Have checked the torque ratings and will fit HS85MGs all round. Weighing up coverings... as my eyesight is no longer 20/20, I want to avoid trouble with orientation and long-grass re-sighting, so thinking about black fuselage and fin/rudder, broad black and white stripes on each wing bottom, with fluorescent (neon pink or neon magenta) for the tailplane and the wing uppers... what colour choice leads only to the dearer Profilm/Oracover! 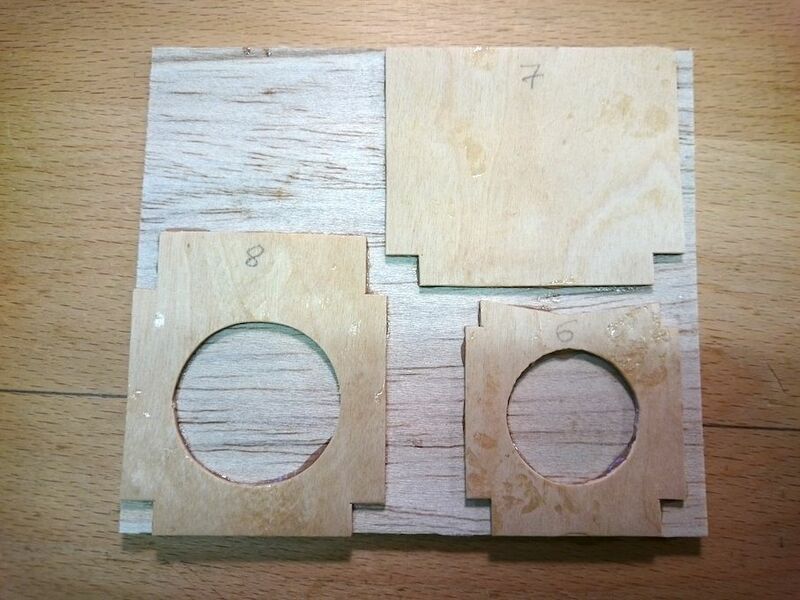 Waiting for the SLEC jig and other bits to arrive and will then make a start. Update: haven't actually yet made a start, but got all the bits delivered and have a colour scheme sketched out. It appears that something of a 'house-style' has emerged, as per the proposed black/yellow version in my Gangster thread, and the MP is lined up to be built as soon as the Gangster is done... I promise!! I built the "ordinary" Middle Phase for a colleague some time ago. I used two small servos in the wing but otherwise the build was as per the kit with two standard servos actuating the the rudder and elevator. I never saw it fly though. So (a year on since starting this thread!) last night I got the boxes out, spread everything out, and re-studied both the instructions and what MP threads as could be found here. Build as light but as strong as possible (aiming to get as close as possible to CF's 34oz AUW, 11oz/sqft loading). Ballast-box at CG for up to 8oz of lead slugs (in 2oz steps). Servos in wings (got the aileron set from CF) using plastic SLEC servo-mounts. Hitec 85MG all round; Sullivan snakes for rudder and elevator. 2 layers of 1oz/sqft glass-cloth fixed with Poly-C on underside of fuse from nose to rear of wing-seat. 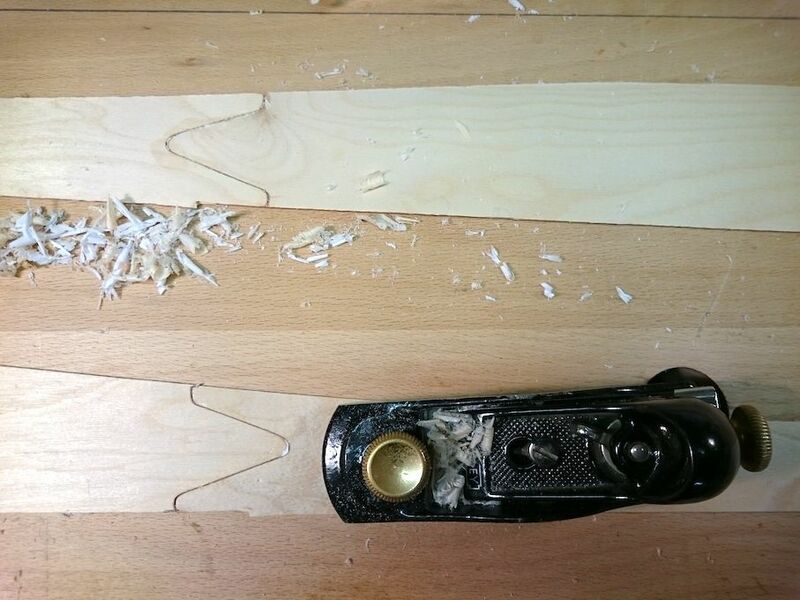 CF says to use PVA for main wood joints, but would Aliphatic be suitable? I assume I'd still then need to use epoxy with micro-balloons to beef up the former areas and the inside parts of the forward fuselage afterwards? I'd fit a square 4.8v Eneloop NiMh pack. Would the smaller AAA 800mAh pack be sufficient for a full flying session (say 2-3 hours), or would I need the heavier AA 2000mAh pack? Would there be any advantage or disadvantage to not having a removable hatch forward of the wing? 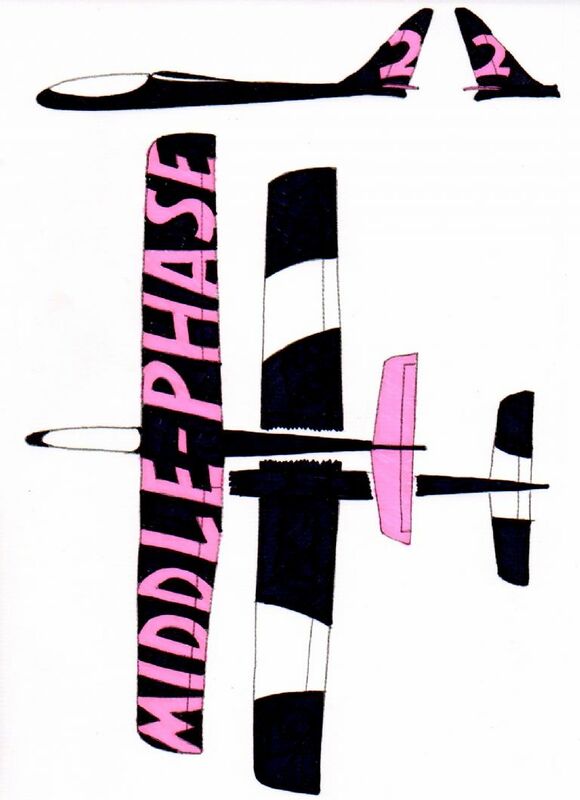 Still have not flown my Middlephase 2. 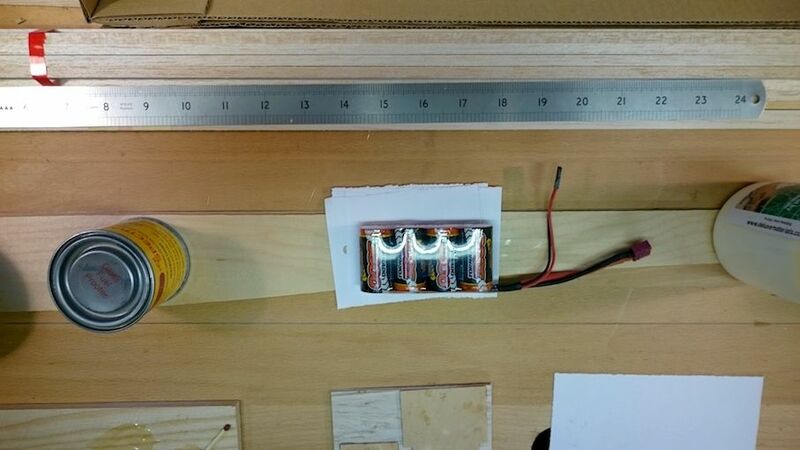 ---To get the CG right without too much forward ballast I would fit the 4.8 v Eneloop battery. ---I would say that the removable hatch is essential , I had to re-build mine. I've decided on a 1000mAh AA pack - as heavy as the 2000mAh version but more robust. Daft question maybe, but if your MP hasn't been flown, why did you have to rebuild? I'd go for the largest Rx pack you can find; 800 mAh doesn't sound much for 4 x 3Kg servos and a receiver, and the voltage/capacity will reduce if you fly in cold weather. I normally use 2000 mAh eneloops if they'll fit. I normally use PVA (e.g. SpeedBond) everywhere on models like this as it seems to dry quicker than Aliphatic. But IMHO Aliphatic would be fine and it's easier to sand (well, Titebond is). - Don't fret over making it super light, they all come out about the same. I used to ballast mine and it was fine. - Don't start beefing it up, all you do is move the failure point and add unnecessary weight. On colour, I've has great success with a fluorescent span wise stripe on the leading edge. You see it coming towards you at big distances. Don't mess with Mr Foss's designs. He has a fair reputation a a designer and flyer. Build as instructed. Thanks folks - will build exactly as Mr Foss (Sir! Yessir!) instructs! First epoxied the two halves of each fuselage side together at their 'scarf' areas. 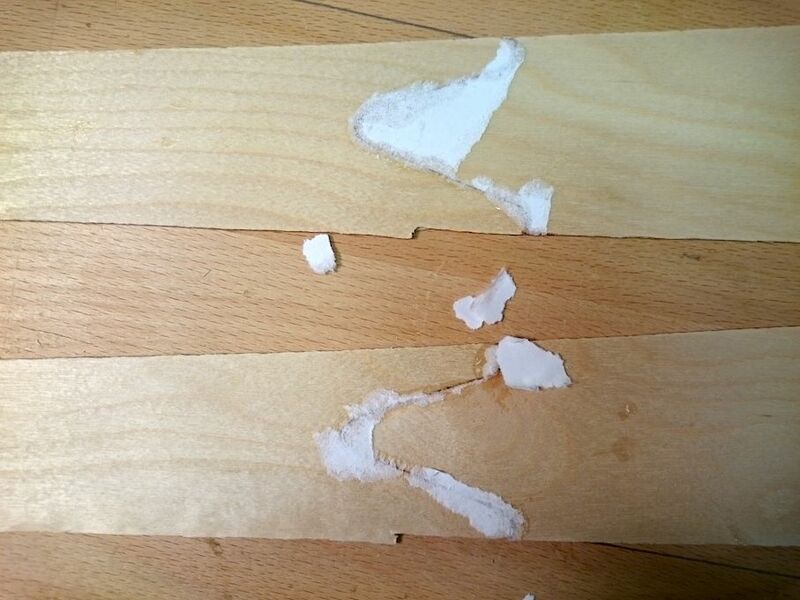 Used paper (rather than polythene) to stop the two superimposed halves sticking to each other (this easily scrapes or planes off when the glue has dried) and took care to ensure the front part was parallel to the back part. Its a bit weird not having a plan to study or work to, just a set of written instructional steps with a few detail sections and perspective drawings. I understand why CF has always done his kits this way, but I miss the 'visual' side of things which I'm used to with rubber FF etc. 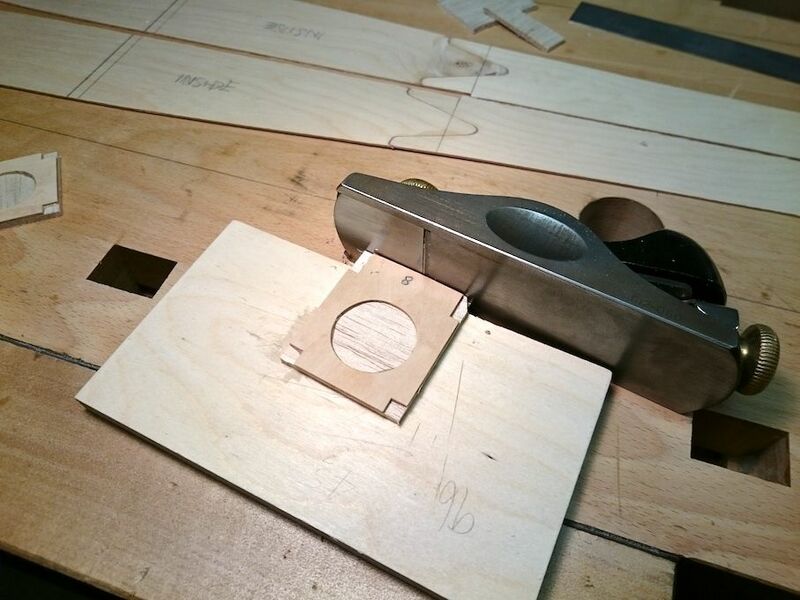 While dribbling 'orrible epoxy everywhere, I glued the ply formers to the sheet of 1/8" which then get cut to act as doublers. A quick flushing off and a buzz with the Dremel had the formers complete - including opening up the forward one to allow a 2000mAh AA pack to slide through.